Martha Clowdis Hamlett resides in Lynchburg, Virginia. “Bats in the Air, Bats in My Hair” is her first published children’s book. She started writing while in school at the encouragement of her teachers. She continued into adulthood writing poems and stories that she frequently read in the local schools as part of her volunteer activities with Junior Achievement. She uses a lot of her own childhood experiences as inspiration for her stories. “Bats in the Air, Bats in My Hair” was taken from an event that happened at her own Grandmother’s house when she was around nine years old. She and her cousins decided to stay overnight at their Granny Clowdis’ house which was a large, old frame house with creaky floors and large bedrooms upstairs. The girls stayed on one side of the hall; the boys on the other. During the night, the girls heard a noise and turned on the light only to see a bat perched on the pillow of their sleeping Cousin Deb. They screamed and ran across the hall to the boys’ room that jumped on the bed with them. The bed fell, and everyone tumbled to the floor. Needless to say, Granny Clowdis was not very amused. Martha has been reading in the schools throughout Lynchburg and the surrounding areas. The teachers and students have been very complimentary of the rhyming format of the book and the bright, vivid pictures. She has intentions to publish another book in the coming year. Davey Morgan resides in Greenville, South Carolina. He received his bachelor of arts degree in Visual Art from Erskine College, Due West, SC. He worked for Erskine College as a graphic designer, illustrator, web designer and photographer. Davey Morgan is a full-time photographer now. To view his photos click here. Davey Morgan draws his inspiration from books he read as a child, such as Curious George and comic books such as Sonic the Hedgehog. He has also traveled to the country of Wales got inspiration from the country side. One of his favorite artists from which he received inspiration from is Roy Lichtenstein. He also loves the movies by Hayao Miyazaki, Castle in the Sky, Spirited Away and Ponyo. He is inspired by those movies also. 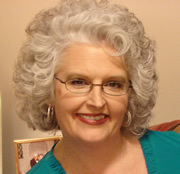 If you would like to ask Martha a question, please feel free to email her at Martha@webovations.net.